I am so PAWcited! Five lucky people won copies of my Toby The Pet Therapy Dog and His Hospital Friends from the Fido Friendly Magazine! I'm afraid this blog post isn't going to be too long. I'm too busy doing my happy dance for the five winners. It's hard to type and dance at the same time! Congratulations to the five book winners! I hope you PAWsitvely love it! As a dog, I have a very interesting view sometimes. Often, when we get somewhere, Chris will ask me to lie down beside him. At that time all I can see are people's feet rushing by. It makes me wonder, do those people ever take time to play? As you know, I love my Kong! I think it is the most PAWsome thing, even better than puppies. Just the thought of it gets my tail wagging. I can't wait to start tossing it around and chewing on it trying to get that yummy treat out to enjoy. Nothing brings more satisfaction than the moment when I can crunch down that tasty morsel. But, getting to that point is so much fun! I get so focused on getting my prize out of that little piece of rubber. My brain must be completely alert to be that focused but I don't even notice I'm doing something good for my body. I just want to have fun and get my goody! When Wednesday comes and it's time to go to work, my focus is steady and unwavering. The people I meet at the hospital are PAWmazing and I have no trouble keeping focused on them. Being with them gives me the warm furries, kind of like my Kong does. Do you take time to play? It seems funny to me that so few of my two legged FURiends do, especially when there are so many benefits to playing. You can't work all the time. Take some time to have some fun too! I love living at the lake! The only bad thing about it is that the storms are way more intense than in the city. The thunderstorms and lightening strikes are PAWsitively frightening. You see, I am terrified of loud noises. Thunder and firecrackers are the worst. I anxiously wander around the house nudging anything in my path (lamps, chairs, and items on coffee tables). I am fortunate though. Char and Chris give me lots of SuPAWt while I do my pacing. They have discovered that they can sometimes distract me with games like hide and seek with my toys. It doesn't always work though. If my toys don't get my attention then they turn on music and try to mask the noise of the storm for me. A few days ago I heard someone say that it is Pet Adoption Month in America. I know we live in Canada but it still makes me suPAW sad to think of all my FURiends stuck in cages with no one to love them. Fortunately, I was adopted from an organization that uses foster homes, NASAP. There are just so many displaced FURiends that not every adoption agency can use foster homes. 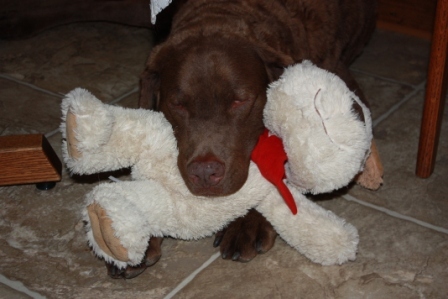 I remember what it was like when I first got to my foster home. I was really confused and didn't feel like myself at all. I don't even think I barked for a long time. I missed my people. The foster family was really nice to me but they weren't the family that I knew. I couldn't wait to go home again and have this whole situation explained. Of course, I had no idea that home was with Christopher and Charmaine, at that time I just wanted what was familiar again. But, when Chris and Charmaine came to see me I was so surPAWsed at how much I liked to be with them. It still took me a few months to dig up my true self but, I felt much better being at home with them right from the start. I wonder what it is like for the FURiends that don't get to go to foster homes? If I was as scared and confused as I was, they must be absolutely PAWtrified! I feel suPAW sad for them. If you or your family has been thinking about getting a FURiend for your home, please consider adopting. Help give good forever homes to to them. After all, many of us need more than love after our exPAWriences. Yesterday afternoon was so PAWmazing! Mom, Charmaine, left early so I thought that dad, Chris, and I were going to spend the afternoon together at home. 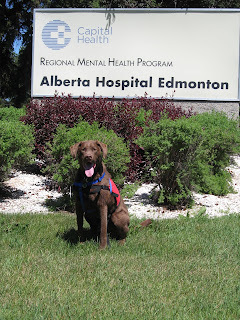 But, the next thing I knew we were in the car heading to Edmonton! I love car rides. There are so many things to bark at along the road. It wasn't long before we reached our destination, The Westin Hotel in downtown Edmonton. I was so excited for this new adventure! I was wagging my tail so fast and hard my hind legs could barely keep me grounded. Of course, I greeted everyone I could on our way into the hotel. People like it when you take the time to say hello. Why were we here though? Imagine my surPAWs when we walked into a big room and there was mom and a whole bunch of people I didn't know yet! Mom was talking about Bouncing Forward and relieving stress and stuff. I don't know what the big deal is, doesn't anyone else play with Kongs? Oh well, we all have a different bark. There was also this big comfy pillow just for me! It was so big and soft. Dad sat right next to it so that I could snuggle in. After mom was done talking I got to PAWdograph some books. I love PAWdographing! 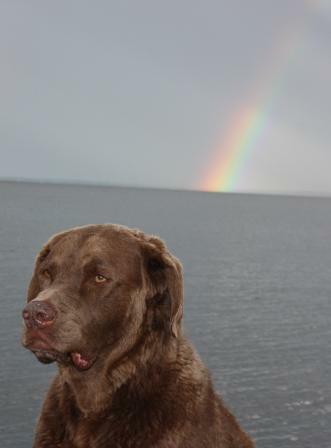 I also love to be photographed, which is what happens a lot when I PAWdograph. I had to bark my approval, what a perfect way to finish the afternoon. So, that's what happened yesterday afternoon. I hope everyone else had as much fun as I did! During my book tours, public appearances and events, I have met the most PAWsome people. 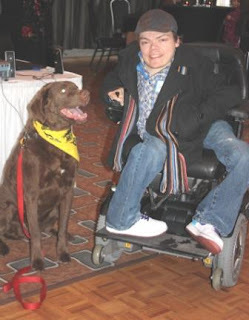 I have enjoyed listening to Charmaine and Christopher talk to folks about their pets, life changing moments and PAWsitive things people are doing to create their legacy and make a difference in the world. When we present to schools (and we have presented to more than 6,700 students this year), which I LOVE, we always invite the students to join me on the Toby Mission- to make our world a kinder, happier place. We have had more than 5,000 students supPAWt me on this mission and many students have later told us how they PAWed Kindness Forward to others. These students are leaving their mark on the world. I also met a group of elementary school aged students at the school Charmaine’s mom works at, who had written some beautiful stories, and the school published the book. It was an honour to present to this talented group of students. Another favorite is Tommy, a grade two student in Oceanside who inspired Charmaine to write another book. Get this, he is in grade two, and he has written a book (and illustrated it), and has a dream to make his book a movie. I can’t wait till I get to read Tommy’s book, and watch his movie. This youngster will make it happen, I know it! Check out my video leaving my mark on the world…. A PAWdograph in my books. So today, I challenge you to think about how you can leave your mark on the world? My Pet Parent, Charmaine Hammond, professional speaker, and bestselling author of the popular book “On Toby’s Terms”, and Shannon Berry of Capital Concierge have joined together to bring an innovative, and informative event to a local company, organization, small business, or corporate team up to 100 people. The winner gets an amazing Bounce Forward Presentation, at no cost. How PAWsome is that? On October 17, 2011 at 1:00 P.M.-4:00 P.M. Charmaine and Shannon will be gathering with the winners at the Westin Hotel Edmonton, in the Strathcona Room to present BOUNCE FORWARD-Building Resilience in the Workplace. Charmaine will be the keynote speaker while Capital Concierge takes care of all the event details. And me, the superstar dog, and star of On Toby’s Terms will be making a special private appearance at the event. 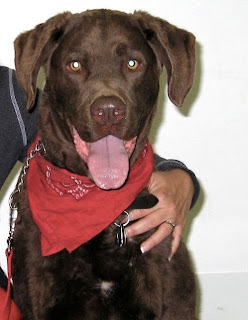 There will be swag bags and a PAWdographing session with the subject of Charmaine’s book and soon to be major motion picture, and me, Toby the Chesapeake Bay Retriever! To enter the contest, “Like” Hammond International Inc, On Toby’s Terms, and Capital Concierge on Facebook. Deadline for entries is September 19, 2011. This event has attracted sponsors that include: The Westin Hotel Edmonton, Safety Ahead Inc., Clutter Helper, Pretty Mama Inc., and Junior Figureido Photography. Being a media hound (pardon the pun), a volunteer, and the star of a book (and soon to be movie star) can get tiring, even though it is a ton of fun. The fact that I LOVE what I do and get to meet the most PAWmazing people is a bonus, and I think keeps me young. I bark to disagree with the old saying “You can’t teach an old dog a new trick”. In April 2011, I had my first ever surf board lesson! It was PAWsome. While I was fairly distracted by the many toys, birds, and dogs on Dog Beach (Del Mar, California), I got focused and rode the wave. Just goes to show you that you can teach an old dog a new trick! Check me out in my video on You Tube during my shining moments and surf lesson. It is so interesting how PAWsitive connections are formed, friendships are built and how small the world really is. 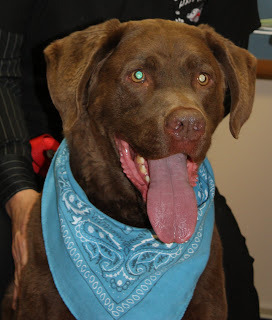 Charmaine was introduced to Sharon from Trusted Pet Partners (Santa Barbara) by a colleague. When we were in California on our book tour, there was a huge Pet Expo in Orange County. Guess who Charmaine was able to meet? You got it—Sharon! They hit it off right away and soon discovered they had much in common, especially when it came to their interest in animals and the incredible impact us furry friends have on people. She thought my story would be perfect for their radio show--- how PAWsome is that? Recently we had the honour of being interviewed by Ken from Trusted Pet Partners. We so enjoyed the conversation, especially the thought provoking questions he asked. He really got at our story in a powerful way. 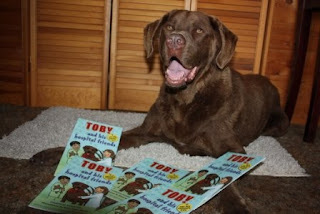 It is always so interesting for me to hear what people take away from my story and my book On Toby’s Terms. 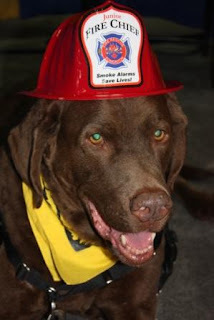 It’s my mission (yes--- I am a dog on a mission) to make the world a kinder place for animals and humans. I am seeing firsthand (or paw) how kindness can be multiplied. I also know that when people are kind to animals, they can extend that behaviour to people. 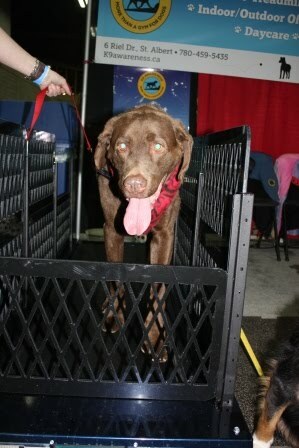 Thank you Trusted Pet Partners for helping me spread my PAWsitive message! Well, thanks to the help and support of all my family, friends, and fans- we did it! 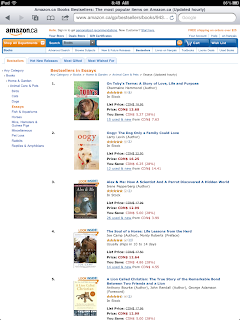 On May 17, 2011 On Toby’s Terms hit the best seller list on Amazon US and Canada. This was a very exciting day, not only because we the book became a best seller, but also because we are making a donation to one of our charities- SPCA. We believe in pawing it forward to help others (people and animals) along the way. Thank you for your support, sending in your testimonials about On Toby’s Terms, and for continuing to be a champion for me. Please know that it is making a PAWsitive Difference!! One of the best aspects of doing book signings and pawdographing events is the amazing people and furry friends I get to meet. 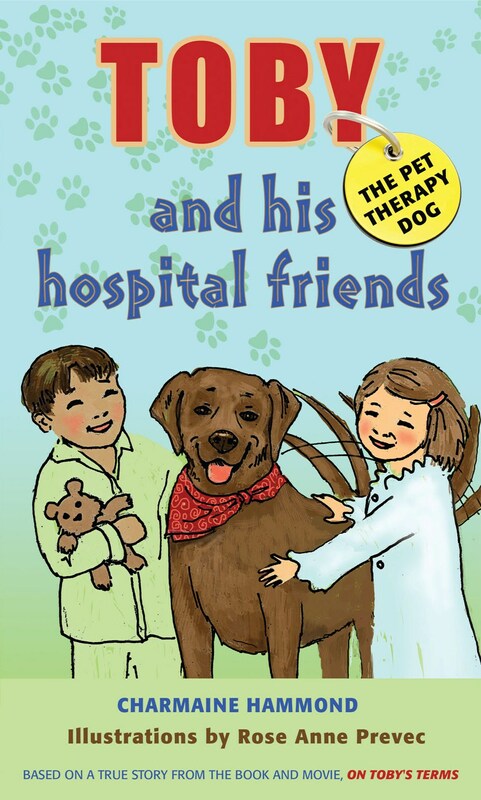 We have heard so many great pet stories that I think I could bark a book. A lovely couple told Charmaine and Chris a great story. They had two big dogs who were good escape artists. 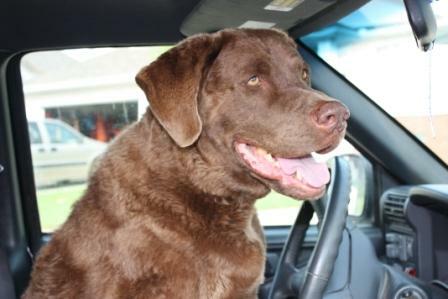 One day while the couple’s daughter was dog sitting, the pair escaped. Days went by and the searches and posters were not bringing their beloved furry friends home. The family started to think they would never see their dogs again. Meanwhile, unbeknown to the family, a caring couple had found the pair, 35 miles from the home they could not find their way back to. The family put an ad in the local newspaper. Somehow the local paper got taken by someone to the area where the dogs were. Eventually the dogs and family were re-united. This story got me thinking of the importance of “home.” When Charmaine and Christopher adopted me, I was five years old. I had spent three months in foster care before going to my forever family. Home really is where the heart is. Well, Char and Chris thought they had seen it all with me. Me breaking toilet tank lids, figuring out how to put my seatbelt on but that was just the beginning, for bigger things yet to come. 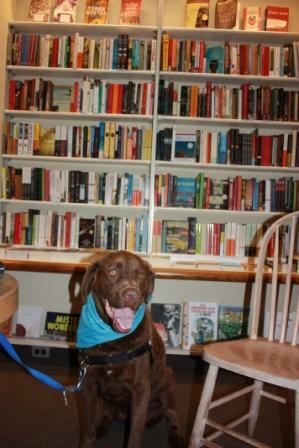 On the weekend, my friend took me for a walk while Char and Chris set up the book for our book signing event. I was a happy dog, barking at life. I scared myself when I set off the car alarms as we walked by. What will I get up to next? One thing’s for sure, I am giving Charmaine a lot of content in case she writes and OTT-2. What happens when the influence and support of many come together? It produces PAWsome results! Meet our friend Teresa deGrosbois, she is one of the most PAWerful connectors I know! 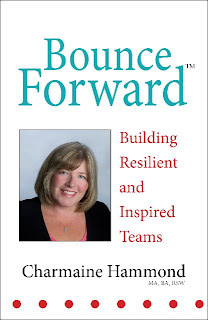 Teresa is a bestselling author, relationship marketing expert, a champion for others, and our friend! 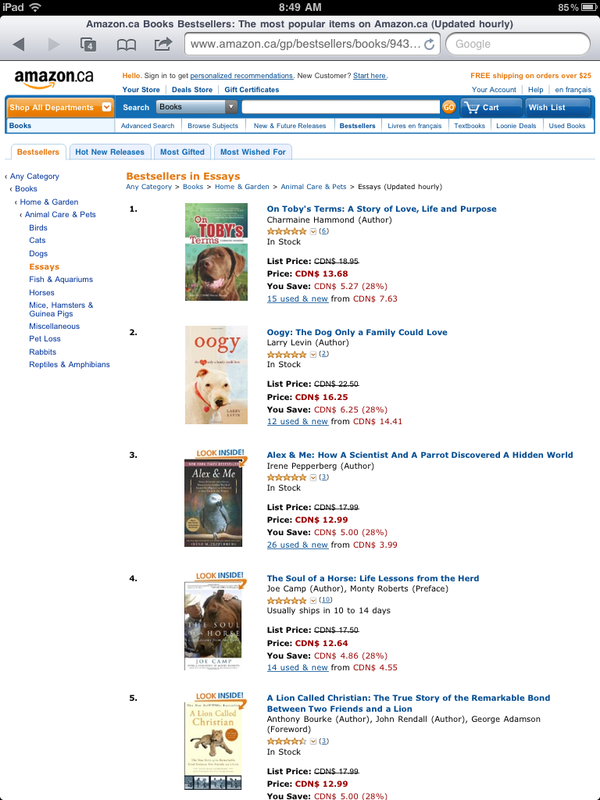 When we announced that our goal was to have On Toby’s Terms become a bestselling book, you should see what happened. All Charmaine’s colleagues from the Evolutionary Business Council (which is headed up by Teresa) came on board 100% to support our efforts. 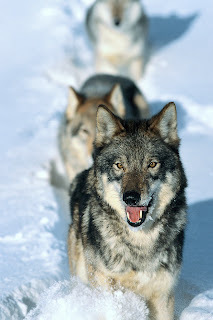 Four PAWs up to Teresa, and the Evolutionary Business Council members and Collaboration Call participants for supporting us in making our biggest goal yet become a reality. to join the campaign and you will receive everything you need from Jenn and Judy at Hasmark Servicers closer to the date! Barking out a big THANK YOU! Doing presentations at schools is PAWsome- I love meeting all the students, and hearing the questions they ask Charmaine about me and my book, on Toby’s Terms. Recently, at a school in Oceanside, we met the most amazing young student, Tommy is his name. He introduced himself this way “I’m Tommy, I’m a writer too!” I immediately fell in love with his gentle confidence. He proceeded to tell me that “my teacher told me I should show you my book.” Charmaine read it page by page, smiling and looking at Tommy. I knew she was impressed. He said “See, I even put in a bit of humour” as he pointed to a picture he had drawn and showed Christopher. This young student asked the most intriguing questions about the book writing and publishing process. His goal is to have his book published, and, to make a movie! Now that is a boy who already knows his purpose! WOOF! Thank you Tommy for inspiring the three of us! I have a PAWsome sense of humor. I love the sound of laughter, and making people laugh. Apparently I don’t have to work to hard at bringing joy and laughter to people, they tell me I am funny just being me. What’s black and white, squawks, is found on the beach and flies? The answer is...drum roll please... Toby’s Toys! People on the beach think I’m pretty funny running around with my head to the heavens barking. They think I’m just happy (which I am) but really, I am trying to fetch my flying toys, otherwise known as seagulls. 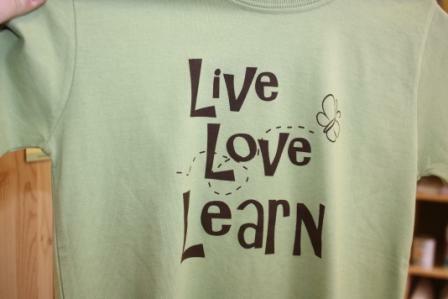 “Success comes in CANS, not can’ts” said James T. Reese more than 12 years ago at an event Charmaine co-organized. That quote has become her mantra, especially during challenging times. Please untie the knots that are in my mind, my heart and my life. I ask that you remove from my mind, my heart and my life all of the am nots that I have allowed to hold me back, especially the thought that I am not good enough. Last week Charmaine was doing a presentation to a team on the topic of Teamwork by Design. I always weave my way into her presentations somehow. WOW! What a great way to look at a team. 1. Credibility – By becoming a published author in an area that you are familiar with, you have now positioned yourself as an expert in your field. You’ve taken the time to provide valuable information on a topic that others’ could benefit from so you will be looked at as a resource. Having credibility means you have gained belief by others in your subject area that can sometimes take years to build. 2. Respect – You are the one who actually DID write a book, instead of the one who said they were going to write a book and never did. You have now identified yourself as a doer instead of being a talker or a dreamer. A level of respect is gained by doing something that others may have only dreamed of doing. As mentioned earlier in this book, only .01% of those who say they want to write a book, actually do it. 3. Clients – You will attract many more clients than ever before. Being an expert in your field opens up many more possibilities to get your name out there (such as being a guest on radio shows, TV, Webinars and teleseminars). The quality of clients will be better because you have now positioned yourself as the expert, which also allows you to charge more for your services. Because you have positioned yourself as an expert, your clients will no longer be trying to get you to discount your valuable services. With a book, your message gets into so many others hands than you could possibly try to talk to one at a time. Potential clients have an opportunity to get to know you, what you are about and whether they want to learn more from you all before they have ever even met you. 4. Raving Fans – There is nothing more satisfying than when you have someone in front of you sharing how your book touched their life, or you receive an email or letter from a raving fan of yours. Your book is going to help someone get to where they always wanted to be and they are going to be grateful to you. 5. Testimonials – Once you receive these stories from people whose life you helped change for the better, now you have testimonials for your website, articles, proposals, bio and for your next book. Anytime a person shares how you have helped them, you can ask them to put it in writing so that you can share their inspiring story with others. It’s a win/win/win for everyone. To learn more about Maribel Jimenez & Keith Leon, Best-Selling Author’s programs, coaching, and tools to get your book out of your head and onto the page visit www.BakeYourBook.com . 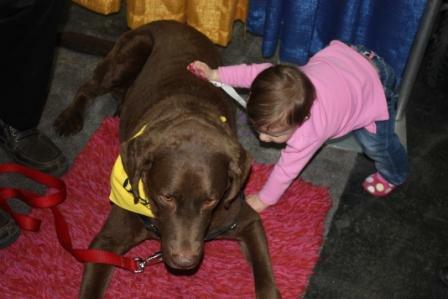 Last week I was a star with children of all ages at the Mom, Pop & Tots Fair 2011 in Edmonton. I bet I was cuddled, petted and hugged by at least 700 children, and many parents too! 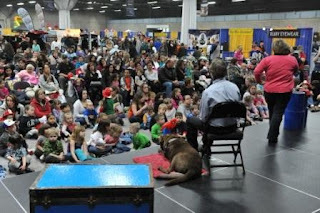 Nothing was more exciting for a fun loving dog than to look out into the audience and see hundreds of children, toys, balloons, candy, stuffed animals and smiling faces looking back at me! A picture does really say 1000 words. This past week we celebrated being Number 1 on Amazon.ca! Thanks to everyone for their support and PAWsome interest in my book On Toby’s Terms! Guess Where Toby is going to be March 11 & 12? At the Mom, Pop & Tots Fair in Edmonton. Hope you can come and visit us at our booth. I’ll be giving visitors a special pawdograph! One of my most memorable greetings was when I arrived at a school at recess time. 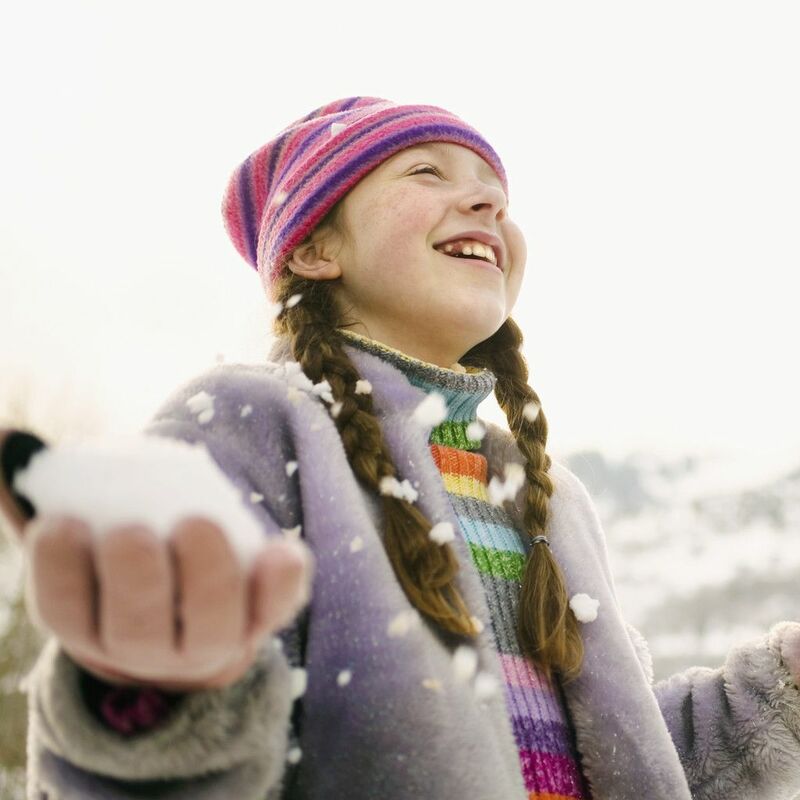 One little girl dressed in her pink snow suit, pink hat and pink boots, came to the fence and shouted “Toby’s Here!” with that, some 75 other students ran to the fence to greet me. Talk about feeling like a four legged star. The students helped Charmaine and Christopher carry in our supplies, and then I got to play fetch with the students at recess. It was any dogs dream---children, the Kong and laughter! Charmaine’s motto for 2011 is Making Moments Matter! For me, there have been many moments that matter. I have met some PAWsome people, attended some PAWtastic events and still find joy in playing with my favourite toys and curling up by the fire after a fun filled day. • Be present, in the moment. It is difficult to make moments matter if life is passing you by. • Appreciate moments, and the people that make the moments happen. Coming from a place of gratitude will pave the way for more to be grateful for. • Be passionate, playful and PAWsitive! • What’s the worst thing Toby ever did? • Will Toby play himself in the movie? • What does Toby do when he meets someone from a different country? • How does Toby tell an adult if he is afraid or lonely? • What makes Toby feel sad? • What would Toby do if he saw a cat? • Does Toby ever have bad dreams? This week when presenting at a school, I started barking up a storm during the question and answer period. 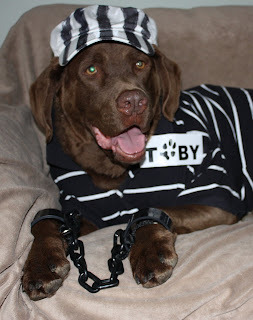 I was so barky I had to go for a time out ( a bark break). The students thought it was pretty interesting that I am not PAWfect, and sometimes need a break or a time out, like they might need from time to time. Life is not about being PAWfect, it is about living and being you (impawfections and all!). We had a PAWsome time at our book signing at Urban Grassland in Spruce Grove, what an incredible eco store (http://www.facebook.com/group.php?gid=143722068858) this is. 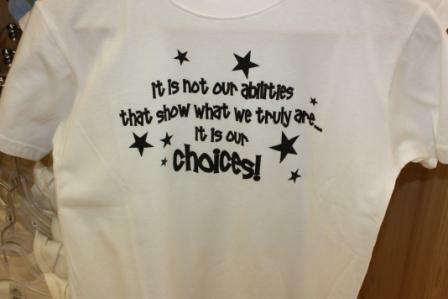 They had the most amazing t-shirts with PAWsitive sayings, that are from Dare to Be (www.daretobe.ca. Barb also gave me this beautiful bookmark from Dare to Be, please enjoy and make sure you visit Urban Grassland, or check out the Dare to Be online store. I believe that dreams come true. I create a vision and then let inspiration guide me. I am open to change and new horizons. I embrace my inner child. I delight in moments of bliss. I re-examine my life and my dreams often and find ways to align the stars. I allow my excitement to show. I am not afraid of what others think. I follow my heart and am true to what I believe. I am positive about the future and all it has to offer. I make time for me and my dreams, I deserve it. I share my dreams with others who uplift and support me. I let my heart be my guide. Save the Date! 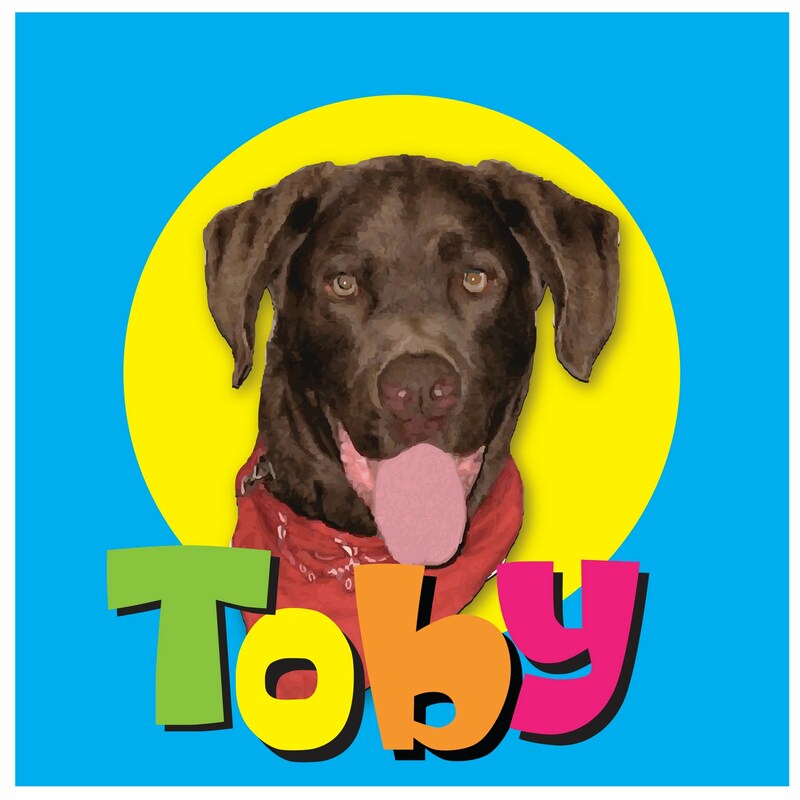 Join us at our PAWesome On Toby’s Terms Book Launch celebration on February 26! I love a celebration! 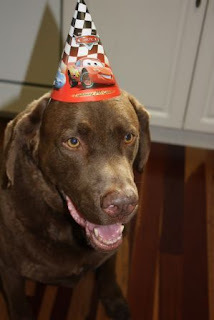 There will be good appetizers, great music, fun stories, kids and books for me to PAWdograph. All of my favorite things in one room! Refreshments and appetizers will be served. At 4:45 some special guests will be joining us for some exciting new news!